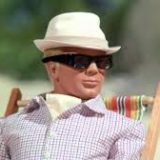 Joe 90 was a sci-fi Supermarionation series created by Gerry and Sylvia Anderson. The series follows the adventures of a nine-year-old boy, Joe McClaine. Joe pursues a double life as a superspy when his scientist father invents a device ( the BIGRAT ) capable of duplicating expert knowledge and experience and transferring it to a human mind. Equipped with the skills of the foremost academic and military minds, Joe is recruited by the World Intelligence Network (WIN). 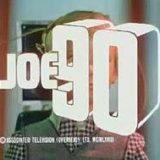 A live-action film adaptation of Joe 90 has been considered more than once since the 1960s but has never been realised. 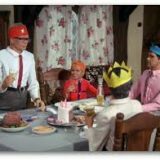 Business Holiday – Joe is sent in to destroy an Army base that has been taken over by enemy forces. The Birthday – It is Joe’s 10th birthday, but Mac has already gone to town before Joe wakes up and won’t be back until late.